If your not happy with your items, please return it within seven days for a full refund. Buyer pays return shipping. 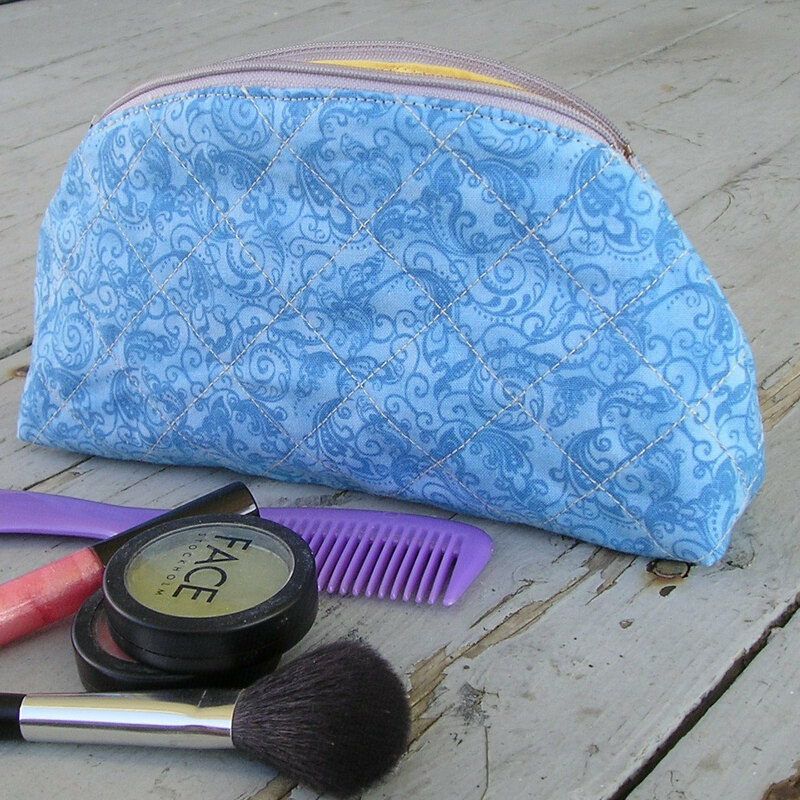 This deluxe quilted cosmetic case is designed to carry all of your cosmetics and personal items safely and securely. 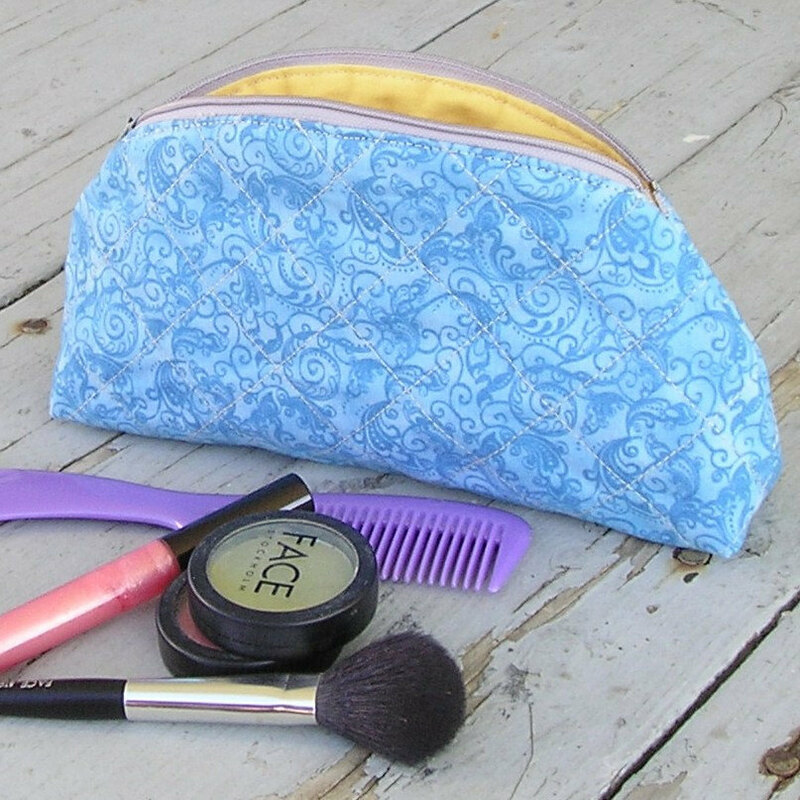 This charming zippered case features azure print decorated with whimsical swirls. 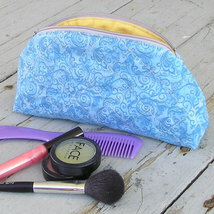 This zippered makeup case measures approximately 8" long, 5" tall/deep and 1.75" wide at the bottom. One layer of batting provides padding and protection for your personal items. 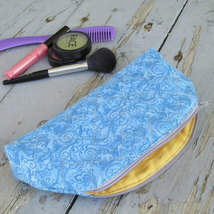 The case lined with a sunny maize yellow fabric for extra interior visibility and light! Woo! Machine wash and dry. 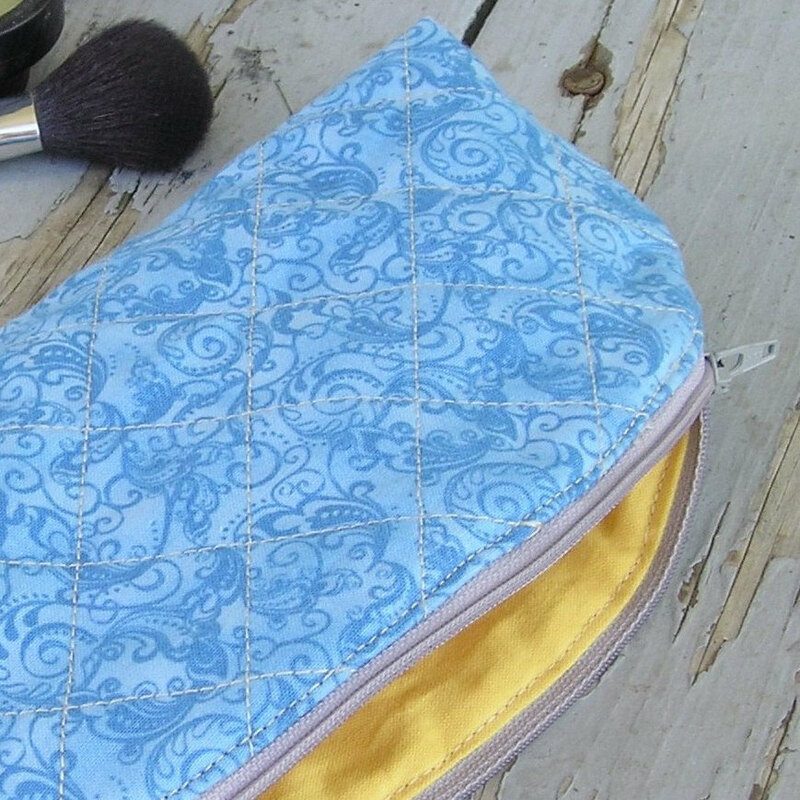 Iron on medium heat as necessary. Ships by First Class Mail.